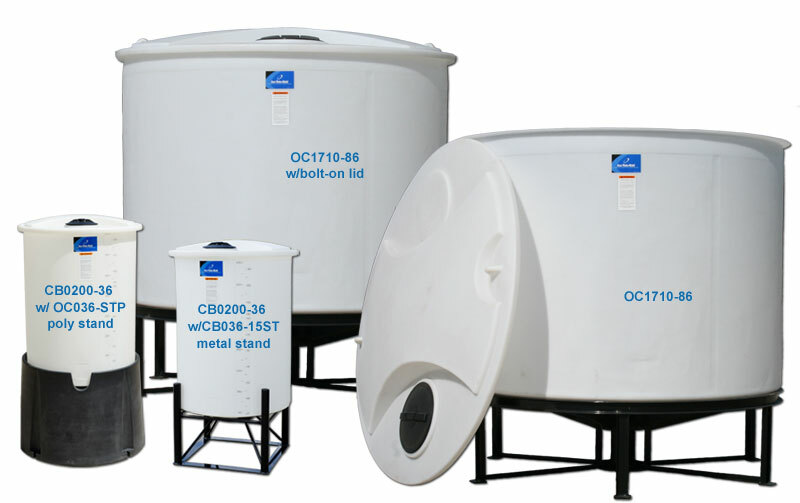 Open Top Cone Bottom Tanks are designed for stationary applications. 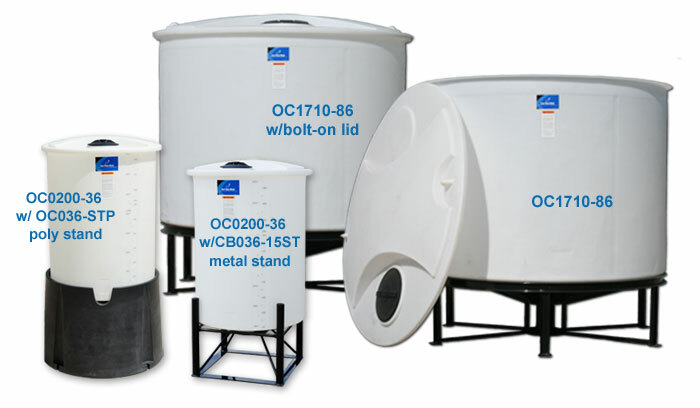 All tanks are furnished with a removable crowned top, fastened to a flange around the top of the tank. Tanks are manufactured from medium-density polyethylene with U.V. inhibitors. Tank walls are translucent for level viewing and equipped with gallon and/or liter indicators. Cone Bottom style requires the use of a stand for support. Specific gravity is listed below.